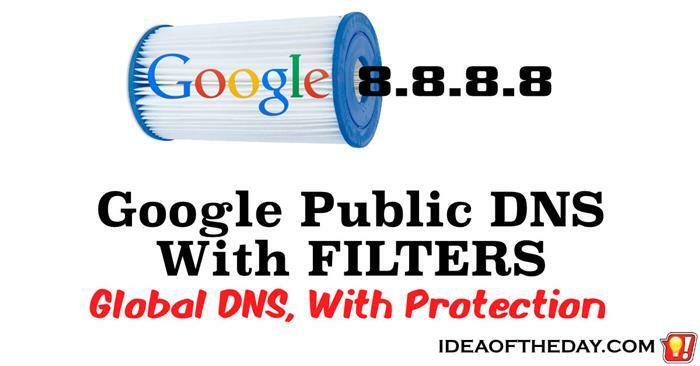 I've been using Google's Public DNS for years because it's faster. Why not make it... BETTER? DNS Servers make it possible for people to connect to services without memorizing cryptic IP numbers, as they did in the early days of the Internet. Each DNS server has a list of every domain, along with the addresses of the IPs they point to. So every time you enter a domain, your computer asks a DNS server where to find it. Normally, your Internet provider handles all your domain lookups by using their DNS servers, but savvy tech guys like me normally change the default to Google's Public DNS, because it's faster and somewhat more reliable.